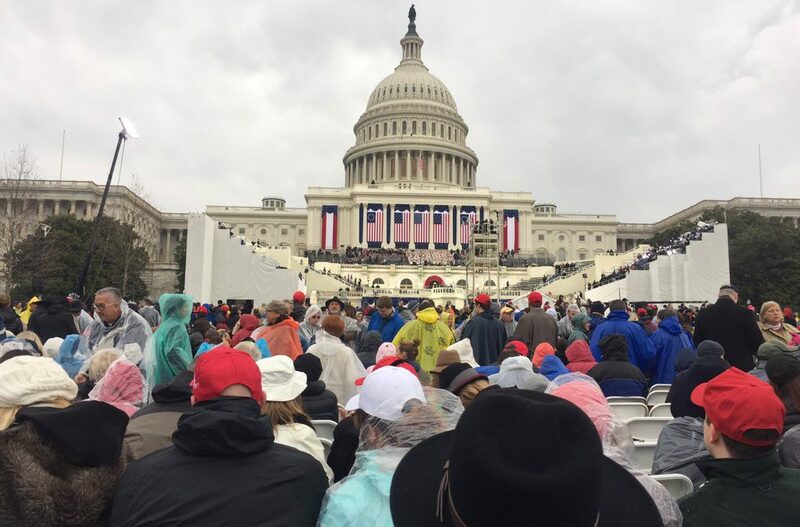 WASHINGTON – People from Columbus, Georgia attending the inauguration Friday of Donald Trump said the new president’s inaugural speech shows he is ready to unify and bring jobs to Georgia and the rest of the country. Trump pledged to “get our people off welfare and back to work with American hands and American labor,” while proclaiming that people no matter their race “all bleed the same red blood of patriots.” But, Washington did not seem to be unifying under Trump as protesters took to the street in anger, vandalizing vehicles and businesses in the city. Russell said he was not concerned with the protests. “Everybody is going to have some kind of negative thing to say about” Trump, he said. Joseph Brannan, a small business owner in Columbus, agrees with Russell and thinks Trump is the best person to bring jobs back to the country, aid small businesses and unify the nation. Brannan’s wife, Emily, traveled with him to witness the inauguration. Emily “thought [Trump] did a great job speaking for the first time as president.” She said that his policies are sound. The couple said they were attending an inaugural ball on Friday night.